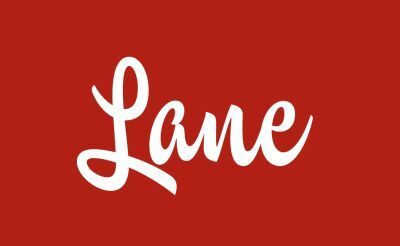 Lane is a collection of beautifully designed homeware, gifts and accessories inspired by twentieth century graphic design. Lane supports British craftsmanship by using the best of British materials wherever possible and keeping production miles to a minimum. Lane founders Joff and Ollie are designers who have applied their graphic style to a variety of different medium for over 12 years. Lane began because of their passion for beautifully designed products and a desire to work with the best of British designers and craftspeople. Our approach to design, manufacturing and business is to build a sustainable range of homeware and accessories that is built from the unique skills and materials that we find locally and in the UK. Where we are not able to source locally, our aim is to identify practitioners worldwide that share our values. At times this feels like an impossible task, as trying to trace certain materials and processes through the global supply chain is a complex task. However we persist and we aim to make our things simply by working with manufacturers and craftspeople that we know, trust and have personally visited. OUR SELECTION PROCESS FOR MATERIALS AND MANUFACTURING. We currently work with a range of craftsmen and manufacturers to make products solely in the UK. We work closely with these partners to manufacture to their strengths and to maximise their skills. We work on a long-term partnership basis and will not compromise quality and relationship for price. Most of our main materials are made in the UK by some of the most reputable companies in the world. We work with manufacturers that are committed to craft, quality and sustainable manufacturing. Many of these businesses have been key parts of their community for years and are the gatekeepers of rare sets of skills that cannot be lost to future generations. On the occasions we are not able to source from the UK, we look to find international suppliers that share these values. Whilst the majority of our materials are sourced in the UK, the ingredients of those materials may be from elsewhere. For example, the fabric for our Twin Tone Cushions is made in Scotland but the raw wool is sourced from Italy and New Zealand. This is because the wool that is required and provides the correct level of performance is not farmed in the UK. We're continually working with all suppliers to ensure the their raw ingredients are sustainably produced. Components such as electrical parts or zips on cushions are often the most tricky to trace as they are usually made of plastics or metals which are part of complex global supply chains. Understanding the sustainability of such items is very much a work in progress and we'll update this section when we know more.